Nowadays, smart homes are considered the norm. The concept hasn’t just taken off because people want to appear “cool”. The smart home has become a must-have for many because it offers convenience, comfort, added security, and so much more. In the past, a smart home was quite costly to have, but not anymore. Now, with leading home automation manufacturers offering affordable systems and reliable after-sales support, you can have your own smart home without breaking the bank. At Homemation, we are particularly excited about just how far smart homes have come over the past few years, especially in South Africa. More people are starting to realise that the cost of a smart home warrants the convenience, comfort, and security that it provides. What’s the Deal with Home Automation? Home automation is what makes a “smart home” possible. At Homemation, we would love to tell you more about the brands, systems, and devices that we believe are sound investments for your very own smart home. Before you start assuming that home automation means that you lose personal control over your everyday home comforts, and start living a sort of space-age lifestyle controlled by machines and computer systems, think again! Home automation is about providing you with more control, not less. And no, the machines are not going to take over. Instead, you can incorporate a variety of systems and devices in your home that will be set to know your preferences and make sure that you never have to deal with anything less. It’s systems and machines working with you to provide you with the very best lifestyle possible. Imagine waking up in the morning to the sound of your favourite music, the lights already turned on, the air conditioning set perfectly, and the blinds opened. Sounds ideal, doesn’t it? That’s because it is. Everyone wants to live life their own way, according to their own preferences. With a smart home, you can! If you can dim the lights, adjust the temperature, and listen to different music in every room of the home, you’ll be living “the dream”, right? We think so too! How does it all work? It’s simpler than you think. Basically, smart home systems or home automation systems require smart devices (these are devices that can connect to the network) and a system (software) to control them. The beauty is that you don’t have to buy into one system alone. In most instances, you can integrate different smart devices and systems. At Homemation, we love to talk about smart homes and the tech that makes them possible. If you are looking for more advice on the best systems currently available on the market, we are readily available to assist. Waste no more time. 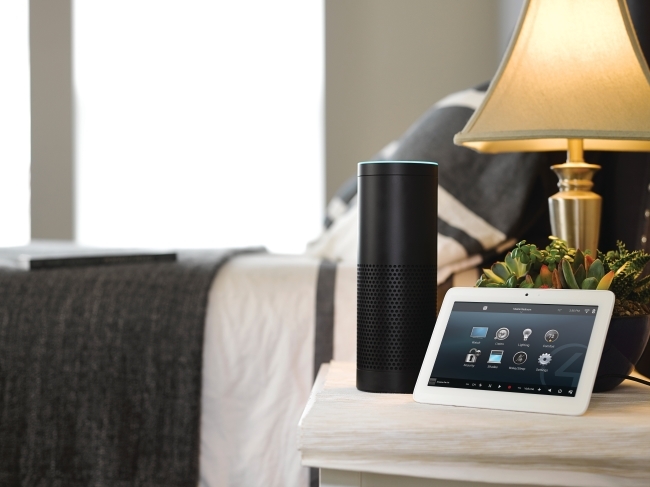 Join the modern age and set up a smart home. Comfort, convenience, and increased security await.